With a softly sloping silhouette and slimline base, the Hannah Queen Size Bed Frame is a beautifully stylish choice for the bedroom. Find your perfect combination and view the full range of the Hannah Collection. The base of the Hannah has been elegantly refined, but enforced with the ultimate strength to ensure long lasting quality. The black legs have been tapered from solid Birch and perfectly complement the look. Get the perfect piece for your room and choose from a range of colours that are on offer. 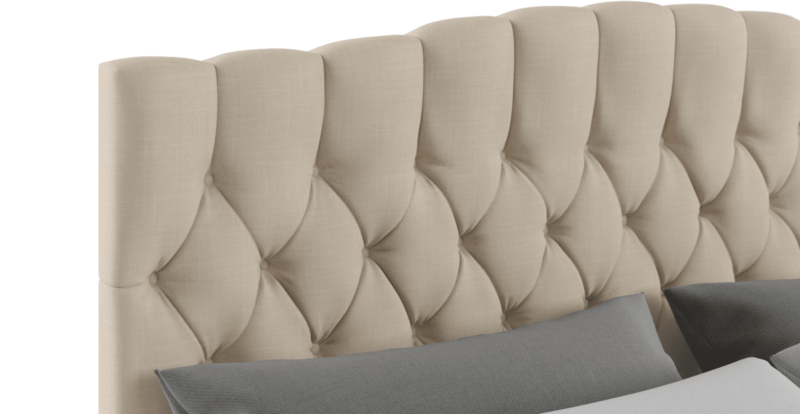 Upholstery comes in either Brosa's Signature Premium or Warwick Mystere Velvet for a more luxurious feel. The bed head of the Hannah is what defines the look, and diamond hand tufting accented by matching buttons adorn the piece. 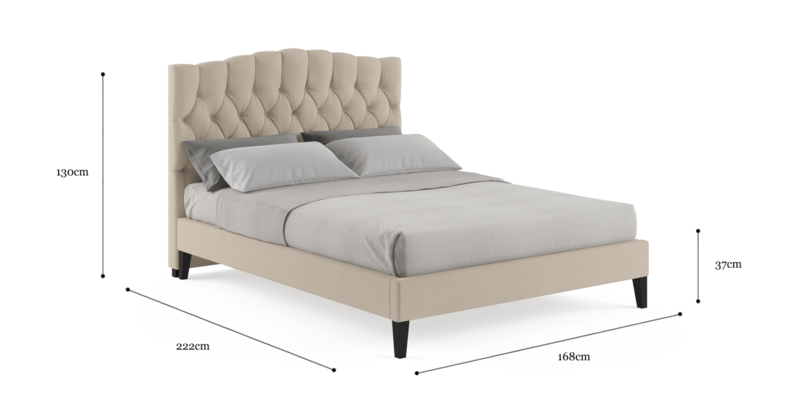 Medium Density Foam filling is in place to give the piece a soft touch that is perfect for the bedroom! Quick delivery. Product of a good quality. The picture on the website shows product as is. I purchased from your company due to: fabric sample provided, Melbourne design, fare price. If I discovered your company earlier I would buy more. 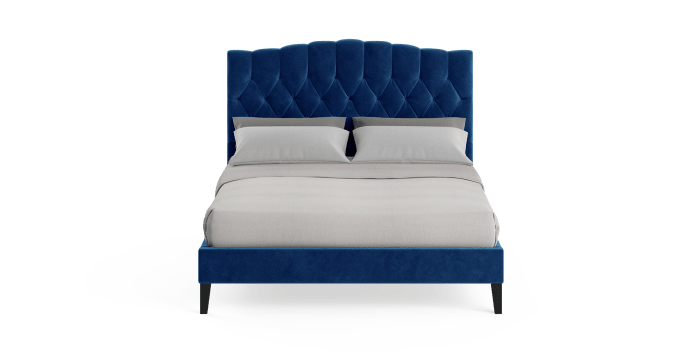 Great service, beautifully finished velvet king bed. Very happy ! 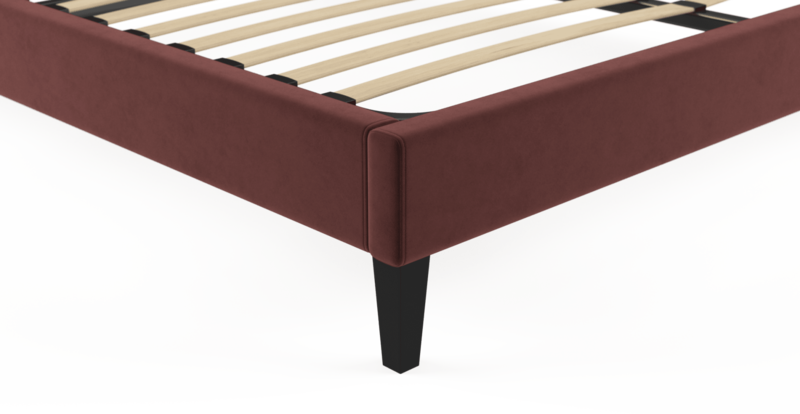 See, touch and feel our fabrics used on our Hannah Queen Slim Bed Frame. For Free! Simply select up to 3 fabrics and add them to your cart. Delivery is on us.